The quality of water can vary considerably from area to area. While the biological and organic content is of little concern to those involved with window cleaning and washing, the particulate and inorganic content can leave streaks, stains and unsightly deposits on glass and other surfaces. 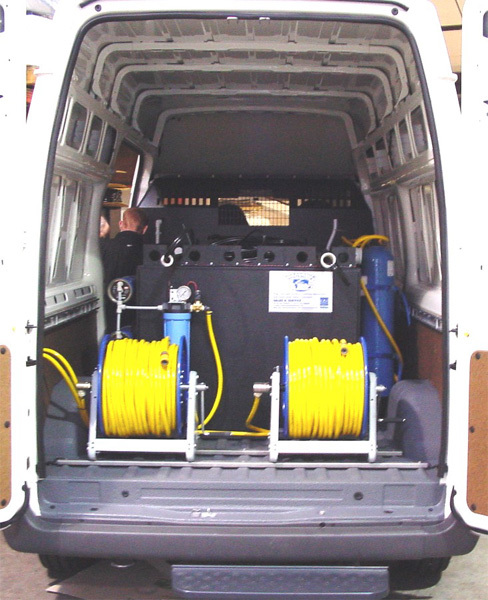 Particulate contamination includes dirt, silt and other fine particles, while inorganic substances such as calcium and magnesium are responsible for scale deposits and the majority of spotting and water marks which most customers will complain about. 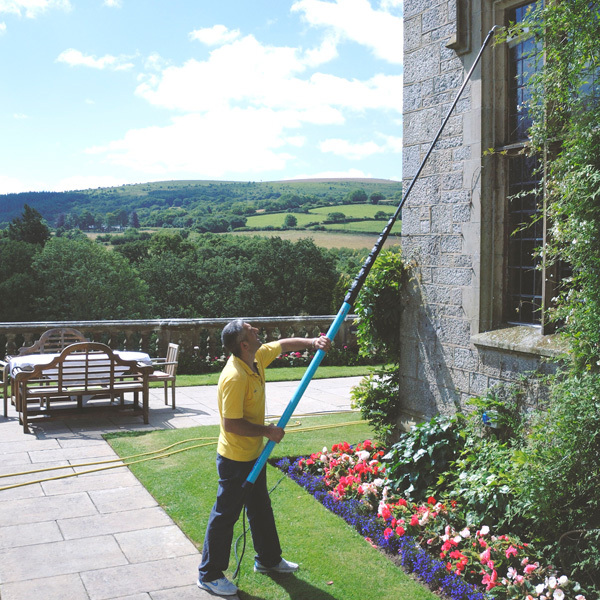 In the window cleaning industry the importance of using a high quality of water is often overlooked. As most windows are squeegeed clean, little water is left on the surface to create problems. However, when window washing, at a high level, with a water fed pole system, water is applied liberally and left to dry. As it evaporates any remaining residue will produce water marks. Even water in a soft water area (e.g. Scotland, Wales, the west of England) has sufficient impurities to give dissatisfaction. 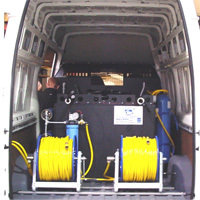 The water fed pole window washing system can only be totally successful if used with the right water treatment equipment. This is designed to produce a very high quality of water. Purified water leaves no residue whatsoever even if windows and other surfaces are left to dry in sunlight. 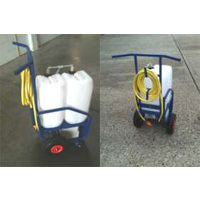 Depending on location and the amount of water used the treatment necessary will vary. The purified water required needs to be 99.9% free of contaminants and this is achieved, in the majority of cases, by using a variety of water treatment products linked together. Water is a very complex substance and the water treatment recommendations will be determined by the area where you are and the amount of water used. Water hardness can be a major problem and therefore it is often necessary to soften the water. There are a number of different water treatments available – some simple, whilst others are more advanced. Between them they can remove water hardness and contaminants and produce 99.9% pure water. Some landscapes have evolved from a chalk and limestone strata (e.g. parts of the UK). Being very porous, water, as it passes over and through these minerals, dissolves them making the water hard in varying degrees. The hardness can be measured. In a relatively soft water area the hardness factor may be as low as 40mg/l. However, elsewhere it can be as high as 400mg/l. of carbonate hardness. As hard water scale and scum can be so damaging, in so many areas of our lives, over many years, the softening of water and the associated technology has an history going back to the early 1900’s. Today’s water softeners are compact, reliable, easy to use and have a long life expectancy. They produce a water which has a zero hardness. All water softeners operate using what is known as the ‘ion exchange’ process. This involves passing water over a resin material. This exchanges the hardness minerals for sodium which makes the water very soft. It is an instantaneous process. There is no storage involved and there is little change to flow and pressure. The resin is packed into a pressurised cylinder. Mounted on this unit is a valve and controller. 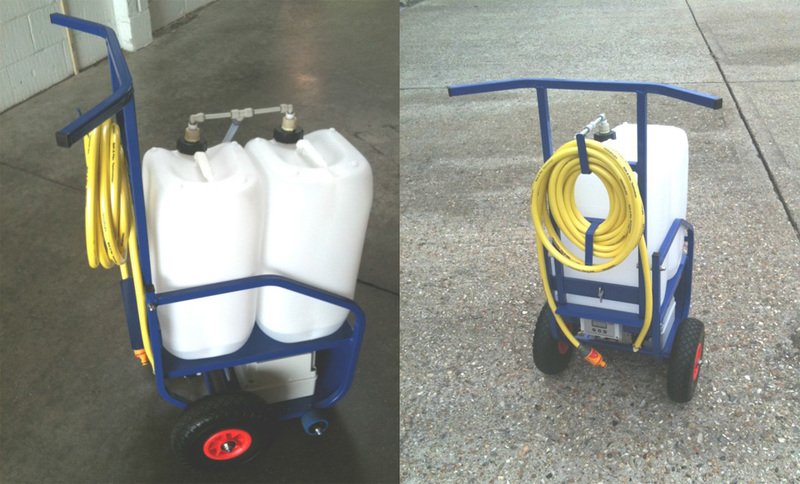 The system comes complete with a brine tank. Salt is the only consumable and this provides the sodium for the softening process. Although it is the best method to rid water of chalk and lime, water softening does produce a by-product – sodium. This can produce unsightly residues and therefore water softening cannot be used in isolation in providing water purity. Besides sodium there are many other inorganic contaminants in water which must be removed. The volume of these can be measured as total dissolved solids (TDS). The lower the TDS the better the water quality. The water treatment industry uses a relatively new membrane technology to remove most of the remaining TDS. The use of membranes to separate out contaminants was first developed in the latter part of the 1960’s as part of the space programme. Reverse osmosis (RO) is commonplace today and has basically replaced distillation as the most popular method of obtaining volume water at a very high level of purity. Organic, inorganic, bacteria and particulate matter will all be removed by a reverse osmosis system. It is such a good barrier to ‘nasties’ in water that it makes it an ideal choice for drinking water on suspect private water supplies. Water can become 98% pure. In a commercial reverse osmosis system, water pressure, via a pump, is used to separate water into two streams. One part is forced through the membrane and emerges as purified product water. The other simply flows through the membrane washing away to drain any contaminants. The membrane in a reverse osmosis system is exceedingly fine with a pore size not often larger than 5 angstrom (five hundred millionths of a centimetre). As the productivity of the membrane is proportional to size the membrane is packaged into a spiral wound element. This then forms the main module of the system which is usually skid mounted alongside the pump and associated filtration equipment. Reverse osmosis membranes don’t like hard water and therefore it is important that these sophisticated systems are used with softened water in a hard water area. The life expectancy of the membrane, and consequently running costs, can then be extended considerably. Even after this treatment the TDS needs to be reduced even further to provide the professional cleaning results required. This is achieved by ‘polishing’ the already attained purity with a deioniser. Deionisers operate in a similar way to a water softener, except the resin consists of a mixed bed of ion exchange material. As deionisers have exceptional contaminant removal capabilities they can be used as a single method of water treatment. 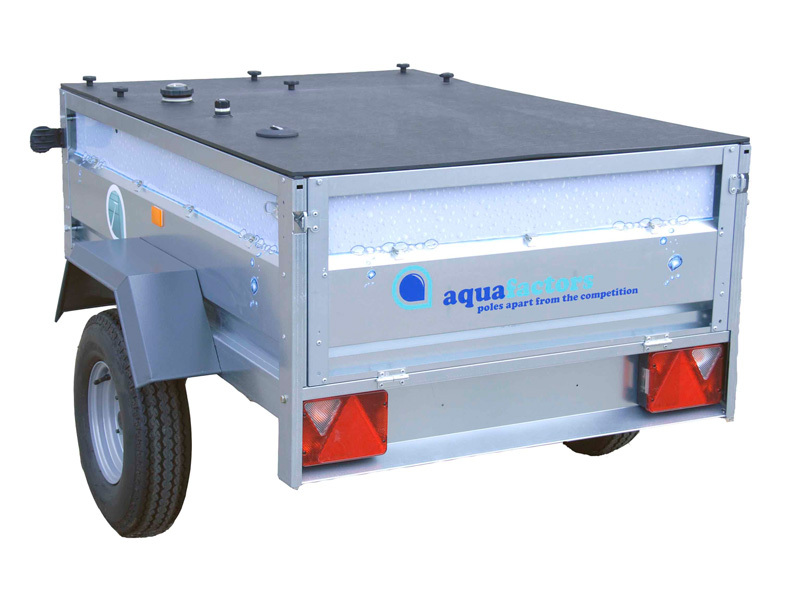 This keeps the process of water purification very simple and Aquafactors uses deioniser (DI) equipment with many of its systems. Water is obtained straight from the garden tap. The concept is so simple and the unit so compact that the ‘convenience of use’ factor outweighs other water treatment alternatives. However, where large quantities of water are used, on a daily basis, the sole use of a deioniser can be a little expensive. The resins have to work very hard on previously untreated water and become exhausted fairly quickly. Water cannot be stored at the 99.9% purity required at the brush head. It will always leach downwards, within a few hours, to around 97 to 98%. 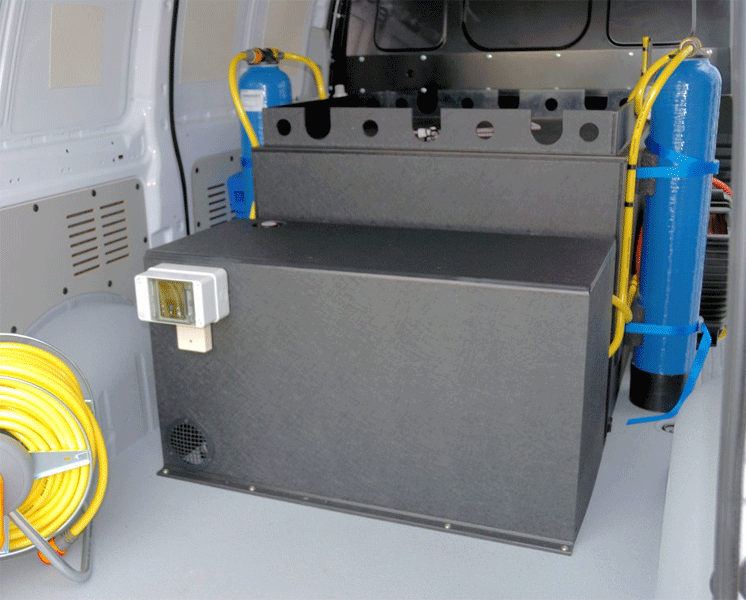 As the resins will remove the minutest of contaminants most of our systems use a deioniser as an on-site ‘polishing’ device to boost reverse osmosis and stored water to the 99.9% purity level necessary. The resins work less hard in this configuration and therefore produce much larger volumes of pure water. Deionisers require specialist plant to recharge the resins and therefore regeneration is complicated and often uneconomical. Most resins are therefore replaced when depleted. 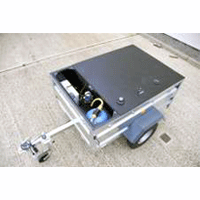 The equipment is uncomplicated and consists of a pressure vessel, internal distributor, riser tube, resin and a simple inlet / outlet head for the hose attachments. The head can be removed, the resin emptied away and fresh resin added when required. The choice of which water treatment equipment to use depends on a number of factors including the amount of water to be used and the TDS level in a specific area. 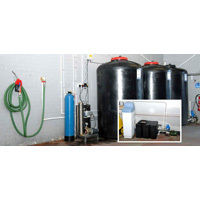 Systems using deionised water are very popular due to their initial low cost. However, if continuous large volumes of water are required then it may be more practical to consider a more elaborate water treatment system to make pure water more economically. Aquafactors have many years of experience in water treatment. We can therefore advise on specific requirements and put forward recommendations for you to consider.